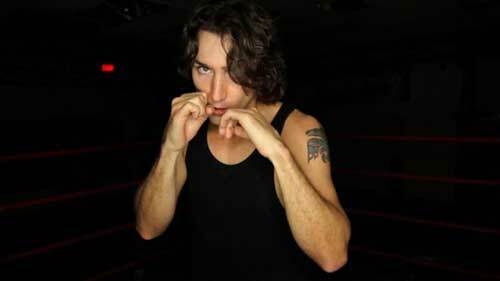 Is Canada’s New PM the Only World Leader with a Tattoo? I owe this blog posting to Henry Lotin. While some Canadians have been marvelling at the size of Justin Trudeau’s election victory – helping the Liberal Party turn a wipeout in 2011 into an overall majority – others have been focusing on the 43-year-old’s athletic body and a large tattoo on his left arm. Could he, they ask, be the only major world leader with a tattoo? The tattooed image of a raven was getting a lot of attention on social media on election night. “Oh, that is a raven tattoo! This guy seems interesting,” tweeted @meg_shuler. “Is Justin Trudeau the first Western leader to have a tattoo?” asked @aveek18 – one of a number of people who wondered this. The tattoo was on full public view soon afterwards, when he fought a charity boxing match against political rival, Patrick Brazeau, and surprised many by winning. There seems to be some logic behind the choice of a Haida symbol. The Trudeau family were made honorary members of the Haida tribe in 1976 during the second prime ministerial term of Trudeau’s father, Pierre. Justin Trudeau went on to attend the University of British Columbia…. Michael Atkinson, University of Toronto sociology professor and author of Tattooed: The Sociogenesis of a Body Art, says Conservative Canadians will take Trudeau’s tattoo as evidence that he is not ready for the job. There will also be controversy, he says, “about someone who is not First Nation using First Nation iconography.” But others will interpret it as a symbol of inclusivity, he suggests. This entry was posted in Uncategorized and tagged Justin Trudeau. Bookmark the permalink. BBC reported (at length) on Justin and Tattoos of World leaders. Since the Russian Romanoff’s, apparently known for their tattoos, there was Churchill who had an anchor tattoo. Which other world leader once served in the navy?